Do you scratch your head in confusion when it comes buying a sewing machine? Do the different types of sewing machines available online make it difficult to choose one? If the answer is yes to both these questions, then you have arrived at the right place. In this blog post, we will inform you about the different types of sewing machines and their functions. Also, we will review the most popular sewing machines in each of the categories to make it easier for you to pick the right one. Electronic sewing machines are in fact hybrid machines with mechanical and electronic components. The sewing machine consists of features such as memory function, built-in stitches, and others that save a lot of time for the user. An electronic sewing machine makes more precise stitches. You don’t have to make any adjustment. Simply select a stitch type and the sewing machine will adjust automatically. A lot of modern sewing machines allow you to easily adjust the stitch speed as well, resulting in more precise stitching. If you tend to work on heavy projects such as embroidery and quilting, you should consider buying electronic sewing machines. An electronic machine has loads of advanced features that make it easy to handle different types of complex stitching projects. Another great thing about electronic sewing machines is that they can print specific embroidery designs. You can purchase designs online and print them using the sewing machine. The machines are expensive as compared to the mechanical sewing machine. However, there are loads of features that make the machines worth it. They are the best sewing machines for people who sew regularly such as fashion designers and professional tailors. Here’s a review of the most popular electronic sewing machines that you can find in the market today. Brother Designo DZ2400 sewing machines are packed with a lot of features. This electronic sewing machine boasts 185 built-in stitches. The sewing machine has a backlit LCD display and sports a variable speed control. This computerized sewing machine also supports 55 alphanumeric stitches. 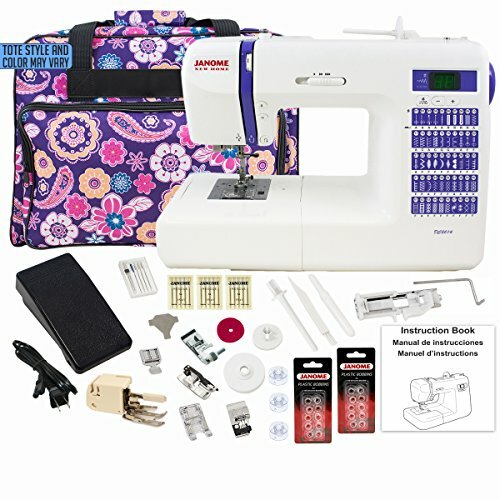 It consists of a lot of accessories and features that will make it easy to complete sewing projects. Janome DC 2013 is an electronic sewing machine that supports up to 50 stitches. The sewing machine can meet a wide variety of sewing needs. You can use the machine for stitching garments, home decor, quilts, and more. The needle stop position can be memorized, thereby saving time. 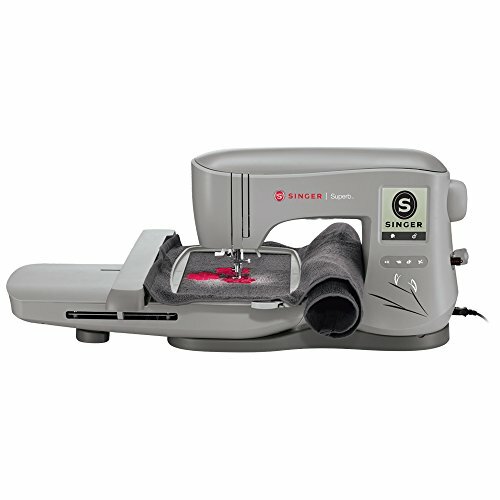 The superior feed system of this electronic sewing machine results in high-quality stitches. Juki HZL-F600 is a rather expensive model that provides great value for money. The electronic sewing machine comes with box-feed technology that prevents fabric from shifting when stitching. Automatic needle threading option is also a great time saver. The electronic sewing machine boasts over 250 different sewing patterns and four fonts. The large LCD display will allow you to select the recommended settings easily. It comes with a lot of accessories and supports free motion quilting. You can adjust the width of the stitch to up to 7mm. 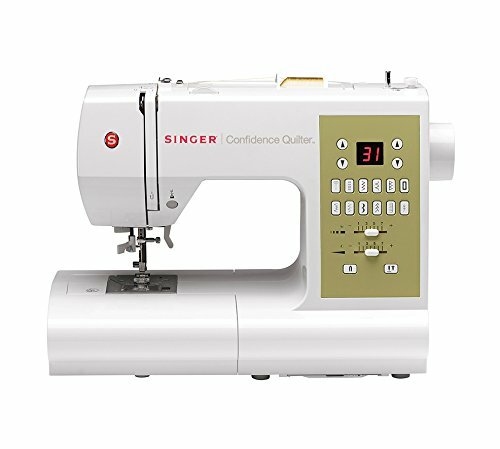 Singer Confidence Quilter 7469Q Price: $320.46 "As a quilter, this machine is just the upgrade needed." 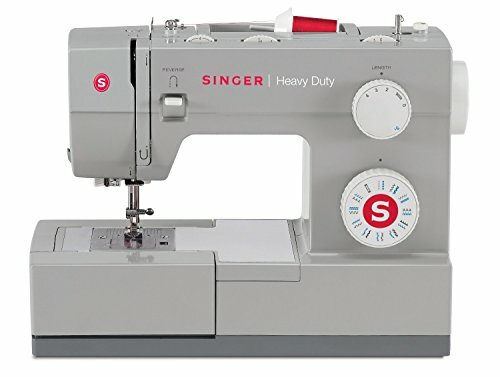 Singer 7469Q is another great electronic sewing machine. The sewing machine has 98 built-in stitches. Notable features of the sewing machine include programmable needle position, illuminating lights, automatic needle threader, and drop feed. The sewing machine supports stitch locking and automatic reverse functions. Moreover, this versatile sewing machine boasts of automatic tension control, presser foot control, and bobbin winding clutch. You can use the machine to work on a lot of different stitching projects. 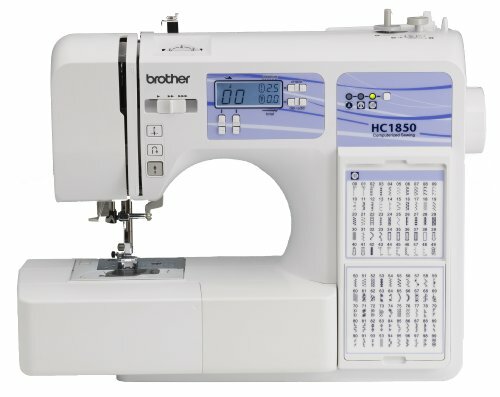 Brother HC1850 supports 130 built-in stitches and 8 buttonhole styles. The built-in sewing font is ideal for basic monogramming. In addition, there are about 170 stitch functions for decorative sewing and quilting. Computerized sewing machines support more advanced features as compared to their electronic counterparts. These machines have a USB port so that users can download design prints on the machine. Users can create designs using computer software and upload the design to the machine for printing. Some of the more advanced computerized machines directly connect online and download the desired designs. The machine can also remember previous design patterns thereby saving time in stitching. These machines are costlier as compared to electronic sewing machines. Here are some of the most popular computerized sewing machines you can buy online. 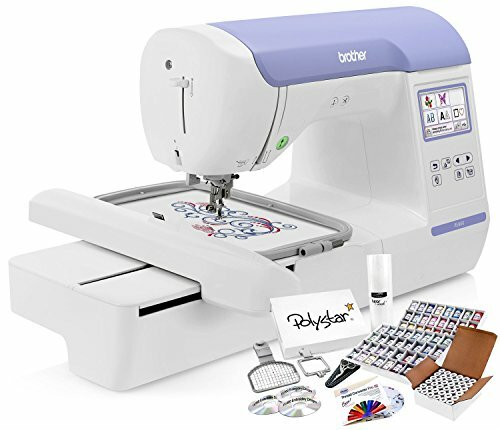 Brother embroidery machine features a color touch screen and USB port. The built-in memory and port allow you to store a large number of designs. You can preview the design on the large LCD color touchscreen. The embroidery machine consists of 138 built-in designs including 11 lettering fonts and 14 border styles. It also features design editing allowing you to mirror, rotate, and adjust the size of images. Singer EM200 is another superb computerized sewing machine. The sewing machine supports over 200 embroidery designs. Moreover, the USB embroidery stick allows you to use custom-made or online designs. The sewing machine has an upper thread sensor, snap-on presser foot, automatic thread tension, and bobbin winding. The large LCD touch screen allows you to easily change the settings. Mechanical sewing machines don’t have electronic components. These sewing machines have simple parts that don’t require a lot of maintenance. The machines can sew just about any type of cloth. The machines are suitable for beginners since they don’t contain a lot of complex features. They cost much less than electronic sewing machines. 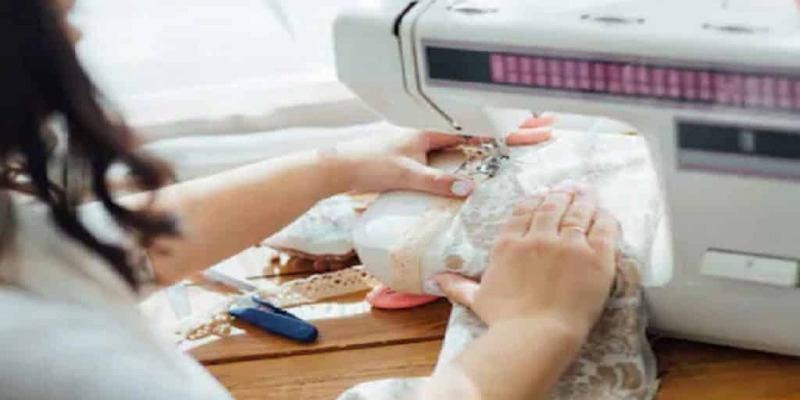 Some of the features that you should look for in mechanical sewing machines include built-in presser feet, bottom loading bobbin, adjustable stitch length and tension, and reverse stitch. Older model sewing machines were hand operated. However, the latest sewing machines operate using an electric motor. Moreover, some modern mechanical sewing machines come with advanced features like built-in stitch patterns. Keep in mind that mechanical sewing machines are not suitable for sewing heavy fabrics like leather and denim. With this in mind, here’s a review of the best mechanical sewing machines that you can find online. Janome HD3000 sewing machine has a strong motor that allows it to run smoothly. The sewing machine features auto bobbin winding. In addition, the sewing machine has 18 built-in stitches and one step buttonhole. This sewing machine supports a maximum stitch width of 6.5 mm. The sewing machine comes with extra high presser foot and a free arm for working on cuffs, collar, and trousers. 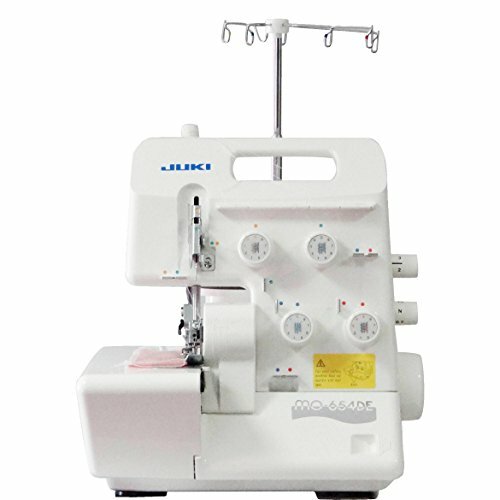 This machine has manual thread tension adjustment and needle threading system. 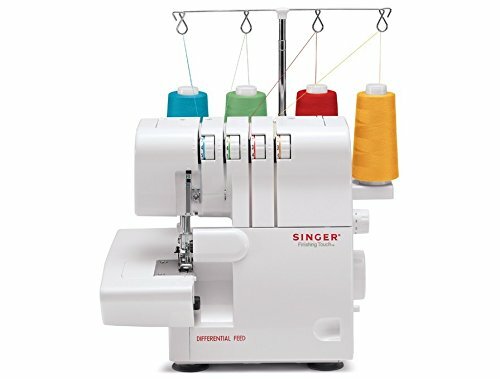 Singer 4423 is another great manual sewing machine. The sewing machine comes with 23 built-in stitches. The motor of the heavy-duty mechanical sewing machine has a strong motor with a sewing speed of 1,100 stitches per minutes. The sewing machine boasts of an automatic needle threader system. The machine will automatically thread the needle without any problem. Another great thing about the sewing machine is that it has adjustable foot pressure. The top drop-in bobbin of the sewing machine makes it easier to view the thread supply. The automatic reverse feature of the machine allows you to reinforce stitches without manually adjusting the cloth. Moreover, the sewing machine has a free arm and it supports stitch length of up to 6mm. 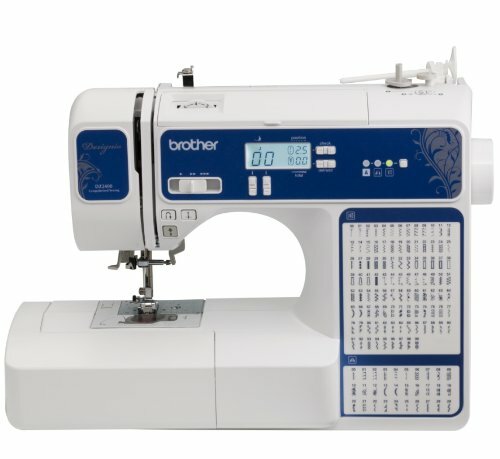 Brother XM1010 Price: $101.99 "I am a brand new sewing girl and am teaching myself. So far this has been an excellent machine." 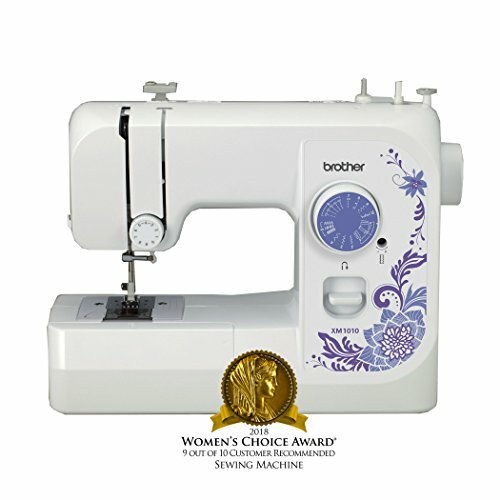 Brother XM1010 is an award-winning manual sewing machine. 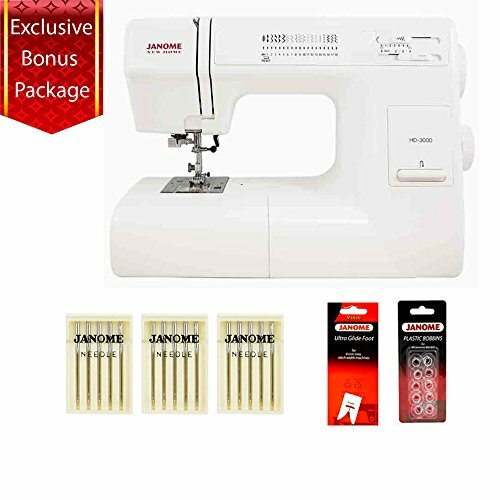 The sewing machine had won the 2012 Women’s Choice Award in 2018 with 9 out of 10 customers recommending this product. This mechanical sewing machine has 10 built-in stitches including zigzag, blind hem, and stretch stitches. In addition, the sewing machine supports four-step auto-size buttonhole. The easy stitch selector allows you to select from decorative, stretch, and utility stitches. 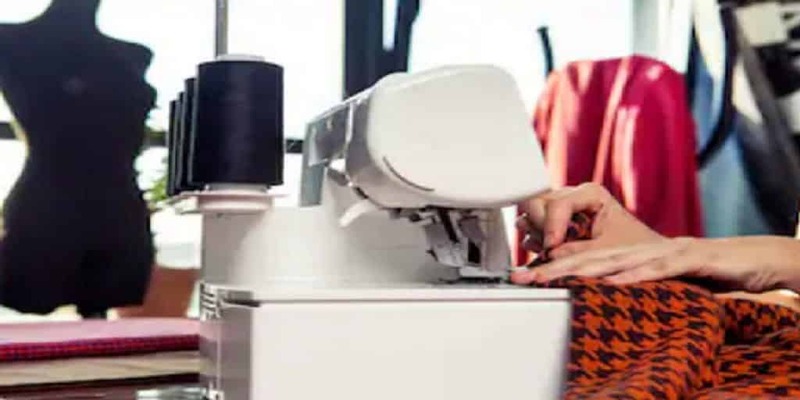 The sewing machine also has a convertible free arm that allows you to stitch around difficult to reach places like the collar, cuffs, and sleeves. The adjustable thread tension and drop-in top bobbin make sewing convenient. The serger sewing machines are used for sewing the edge of cloth. These sewing machines have limited functions and are used for hemming, edging, and seaming. The sewing machines can automatically cut the edges. These machines are also known as overlocking sewing machines in some countries. Most serger machines come with cutters. These machines run at a high-speed ranging from 1000 to 9000 rpm. Here is a review of the best overlocking machines available in the market today. Brother 1034D Serger Price: 249.00 "Get a clean exquisite look to your next project with serged seam finishes." 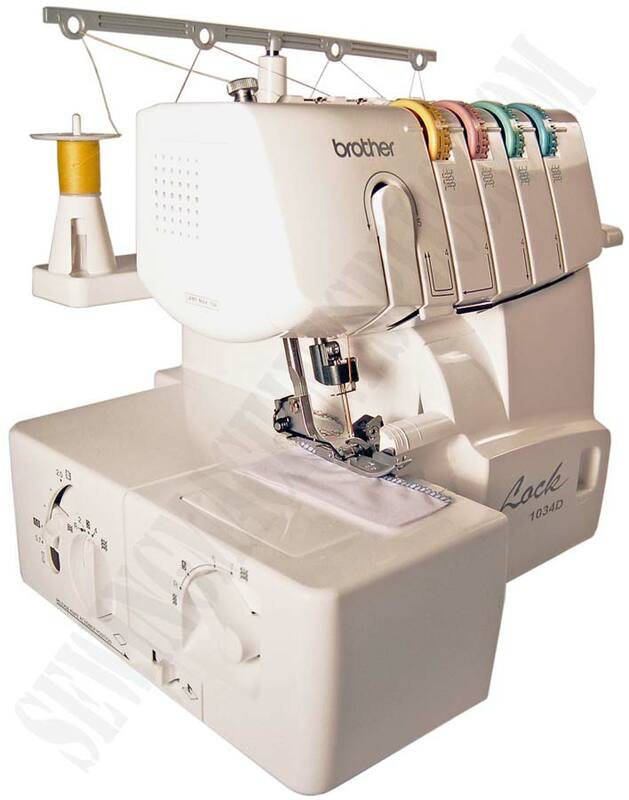 Brother 1034D is a four-threaded serger machine. The serger sewing machines can make about 1,500 stitches in a minute. The knife system of the drive mechanism is valuable as it cuts extra fabric from the cloth. The machine comes with 22 in-built stitches with specialty stitch functions for home decor, heirloom, formal and bridal wear, and reinforced tapes. It is great for beginner and intermediate sewing enthusiasts. Singer ProFinish 14CG754 Serger Price: $176.75 "It has easily handled my light denim and flannel projects just as well as stretch knits and layers of broadcloth." 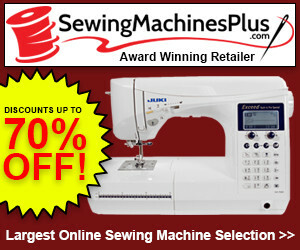 This is another great serger sewing machine that supports 1,300 stitches per minute. The portable machine supports adjustable stitch length and width. It comes with differential feed that allows smooth stitching and perfect seams without puckering or breaking. The sewing machine comes with 6 different stitch types including flat locking, rolled hems, and blind hems. The movable upper knife prevents trimming of cloth while sewing. Juki MO654DE Serger Price: $313.00 "I have used the Juki for over 4 months now, and I still absolutely love it." Juke Pearline is a top of the line premium model that supports advanced serging. You can use the machine to create perfect seams in a variety of items. The integrated sewing gauge allows you to take precise measurements. It is a great machine for both home use and commercial projects. Lock stitch sewing machines consist of two threads passing through one another and locking into the fabric. The machines are used when a lot of clothing projects are involved. These machines are powerful with a high stitching speed. 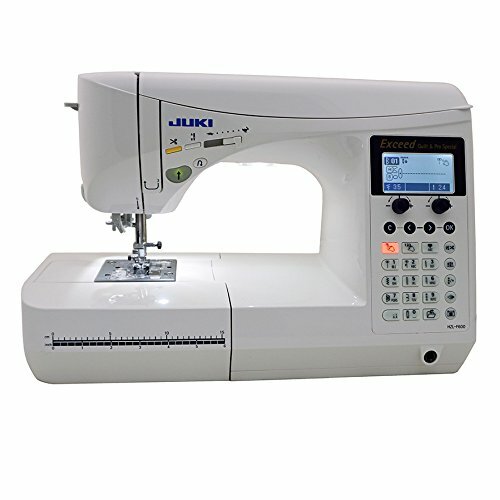 Some of the best lock stitch sewing machines include the Juki TL-2010Q and Juki DDL-8700. Of these, the Juki DDL-8700 is a power horse that supports stitching speed of up to 5,500 stitches per minute. Flat bed sewing machines look like a traditional sewing machine. However, the needle and arm of the sewing machines extend to the flat base of the machine. These machines are generally used for sewing flat fabric pieces. Examples of good flat bed sewing machine include the Brother CS-8800 and Janome 2222 sewing machines. Both the sewing machines have earned rave reviews online due to robust and reliable performance. All the sewing machines can be categorized into industrial and domestic sewing machines. Industrial sewing machines are more expensive, but they are also more durable. These machines are generally used by textile firms to make cloths. The machines are made using high-quality parts. You can use the machines for a long period of time. The machines are heavy duty and can last for years without breaking down. Domestic sewing machines are less costly, but they are less durable compared to industrial sewing machines. These machines are typically used by beginners and professionals at home. The sewing machines are designed to be used for a few hours a day. Make sure that you research properly before buying a sewing machine. Read about the online reviews of a sewing machine before you buy one for yourself.